LANCASTER – Three reputed gang members were arrested and several stolen items were recovered Thursday afternoon, thanks to alert neighbors who tipped off deputies moments after a suspected burglary. Lancaster Station Deputies responded to the area of West Avenue J-10 and Gadsden Ave for a call of three suspicious male adults with rifles walking eastbound on J-10. When deputies arrived on scene, they detained three men matching the description in the call. Alert neighbors reported seeing the three suspects attempting to hide the rifles in nearby bushes as well as discarding other stolen items in the residential area. The suspects were identified as Joshua Allen of Palmdale, John Allen of Lancaster, and Jarrett Coleman of Lancaster. 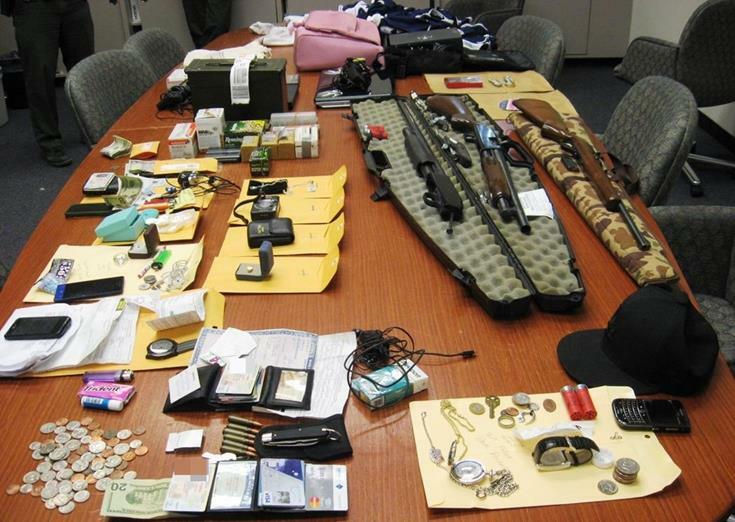 Deputies recovered two shot guns, one rifle, approximately 200 rounds of ammunition, sports apparel, electronic equipment, and other miscellaneous stolen items. An unoccupied home located on the 43000 block of Gadsden Ave was discovered to have evidence of force entry. Nearby, Sierra Elementary School was placed on lock-down as a precaution for a short time, but at no time were any of the students and staff in danger. All three suspects were known gang members and were arrested for residential burglary. They were booked at the Lancaster Station Jail and held on $50,000 bail. 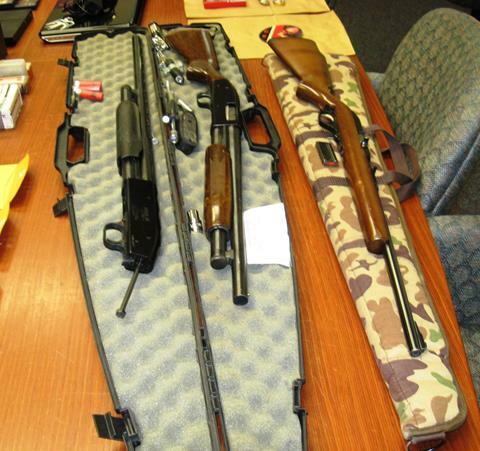 5 comments for "Shotguns, rifle, ammunition recovered, 3 arrested for burglary"
This is comedy! It starts by saying 3 reputed gang members! What a (removed)joke! Glad they got caught! Just comes to show you how gang members are losers an cowArds! Always needing a weapons to commit a crime!!! Or always with there other looser homies preying on innocent people! So glad the residents were alert! SMH.. Jarret has been in up to NO GOOD for a very long time.. Just amazed it took this long to get caught up. What’s really sad is that you knew Jarret had been up to no good yet did nothing. Someone could have been hurt seriously because of your inaction. You should be incarcerated for failing your duty as a responsible person, neighbor and family member. Merry [removed] Christmas to you and your family.